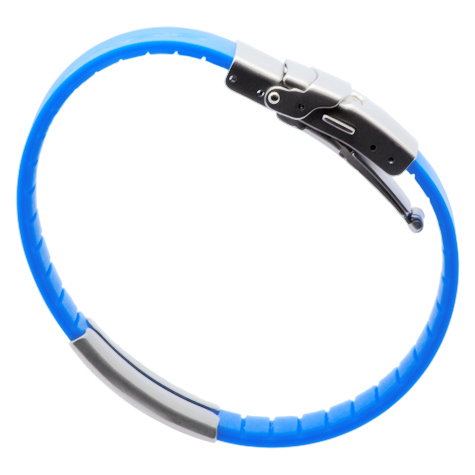 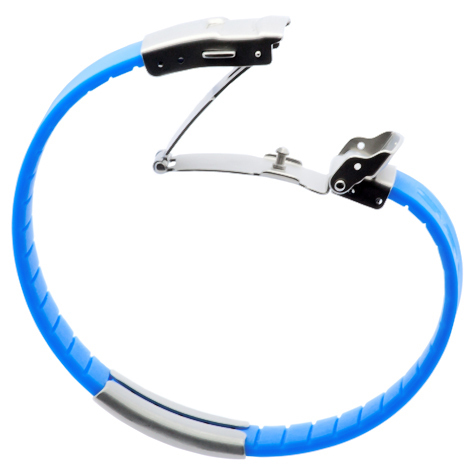 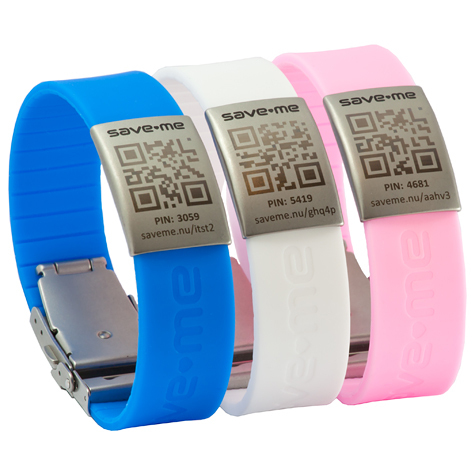 If you choose safety, design, and great comfort, the Save-Me bracelet is something you will love! 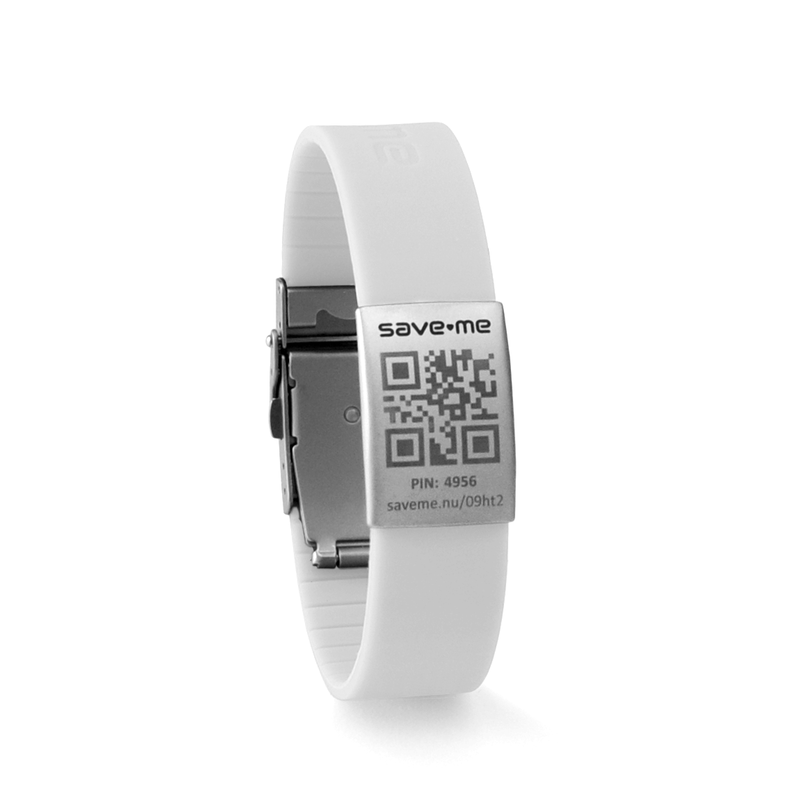 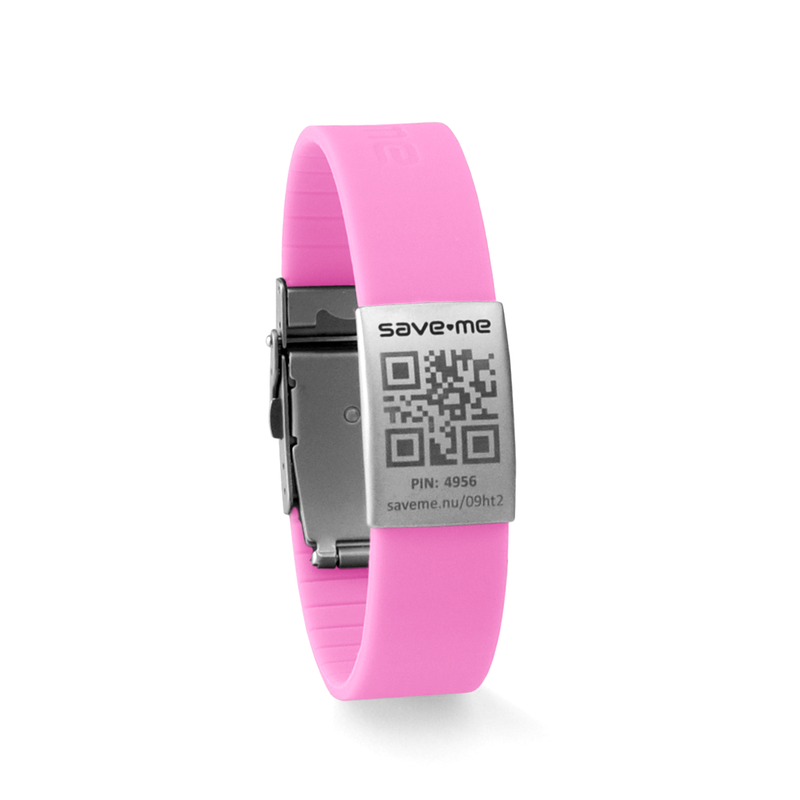 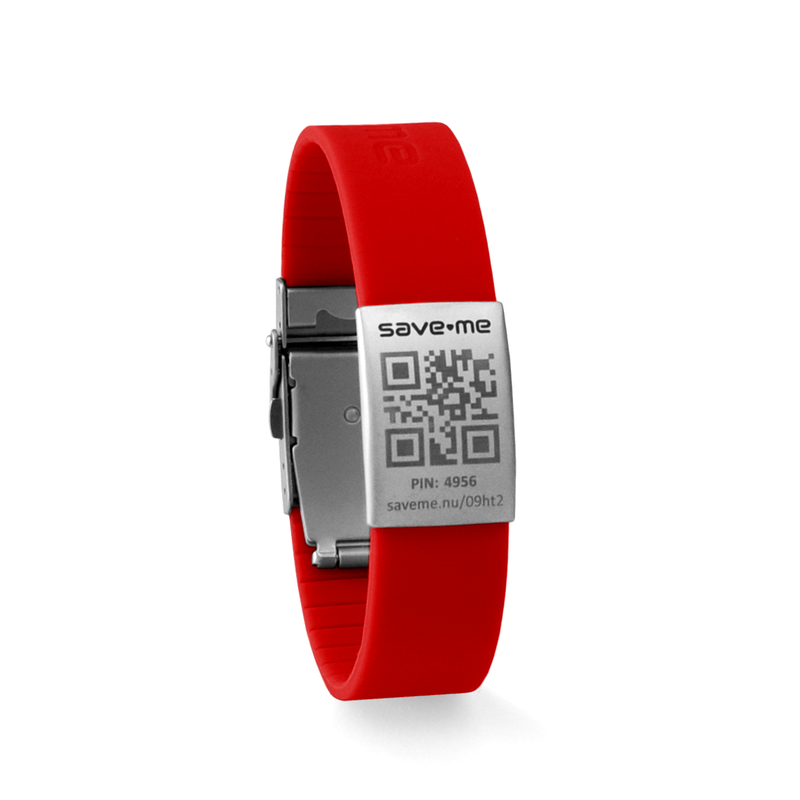 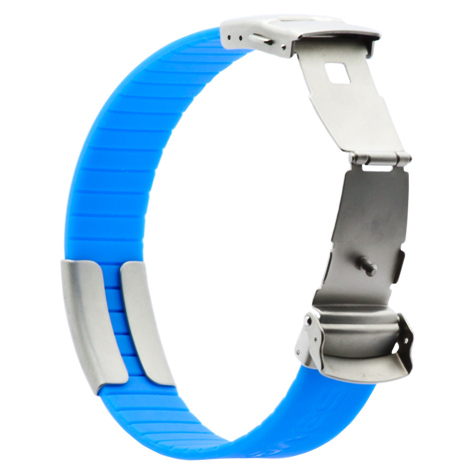 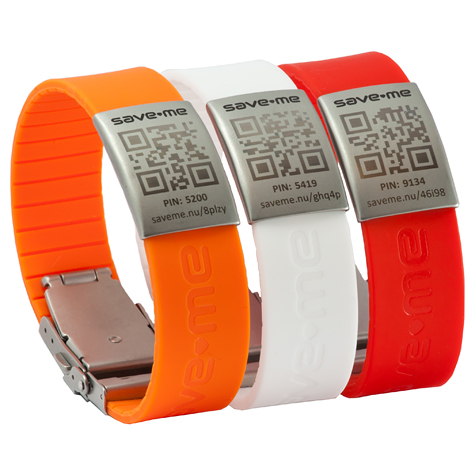 The Save-Me silicon bracelets are available in 10 colours and can be easily adjusted in size. 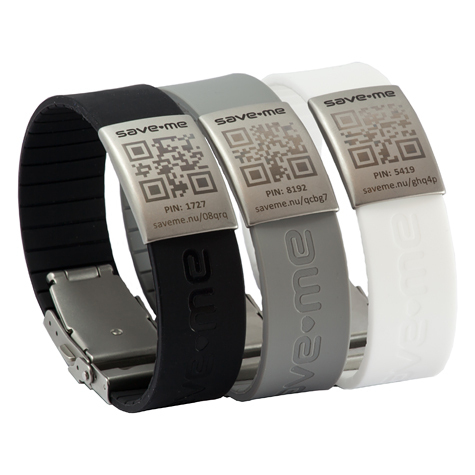 The text tag, with laser engraved QR and pin code and the safety lock are made of stainless steel.